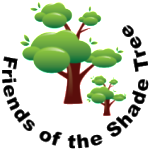 Planted on 2009 as one of 15 trees for the dedication of the Dumont Shade Tree Arboretum. 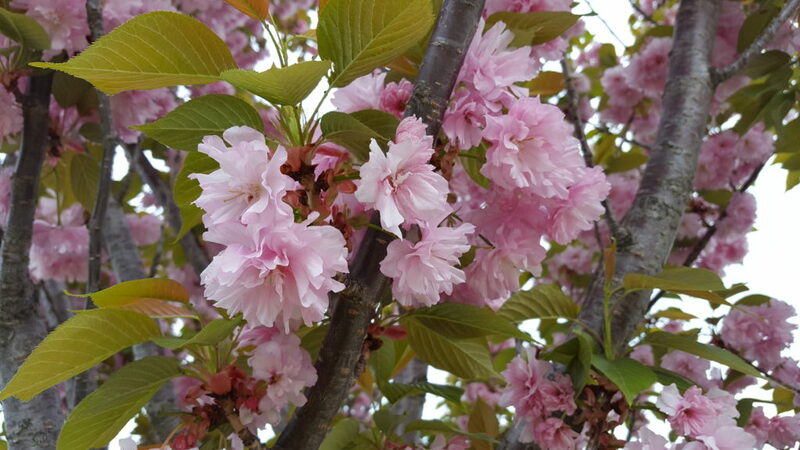 Kwanzan Cherry, Prunus serrulata “Kwanzan,” was the tree gifted to the American People in 1912 by Japan. Many visitors travel to Washington DC to see the National Cherry Blossom Festival. 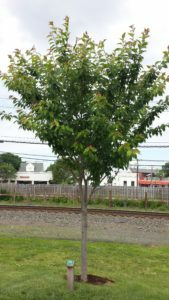 See DC photo on Wikipedia Here. 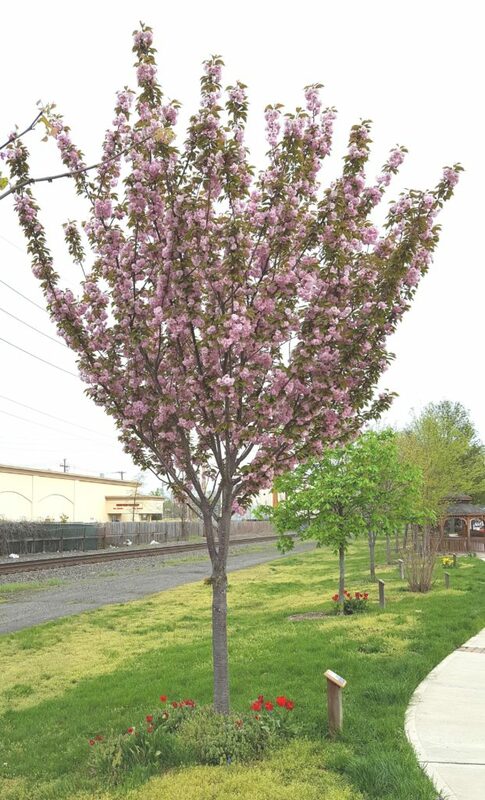 Look for our Cherry Blossoms south of the Gazebo, in the Medium Tree area in late March to mid-April. A Cherry Tree is a Medium Tree, growing to between 25′ and 50′ tall at maturity. 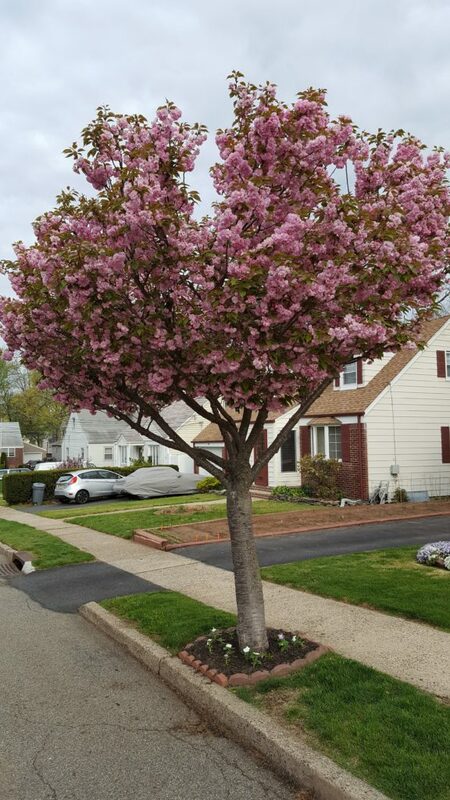 As a lawn tree, a Kwanzan Cherry Tree will be just slightly taller than a typical Dumont house. 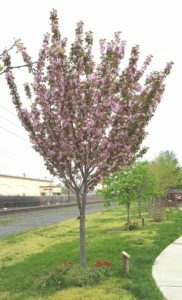 The Dumont Shade Tree Commission has approved the Kwanzan Cherry Tree for the Adopt-A-Tree Program. To Apply for an Adopt-A-Tree, contact Borough Hall, or Click Here.